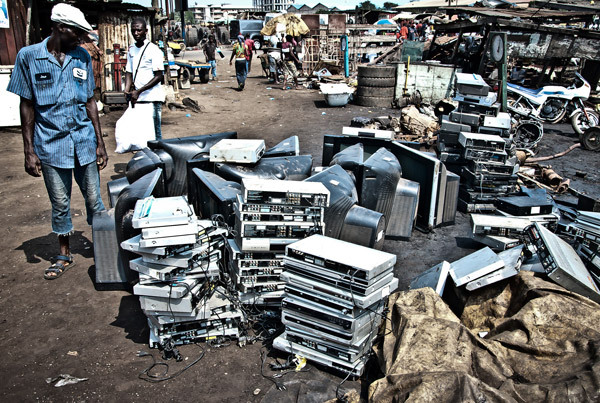 In 2010, after travelling to Ghana as a photojournalist to cover the illegal dumping of electronic waste, Keren became aware of the ways in which the charity industry was playing a vital role in a vicious cycle of exporting stereotyped images to the west and importing foreign help, sometimes making conditions worse for many Africans. 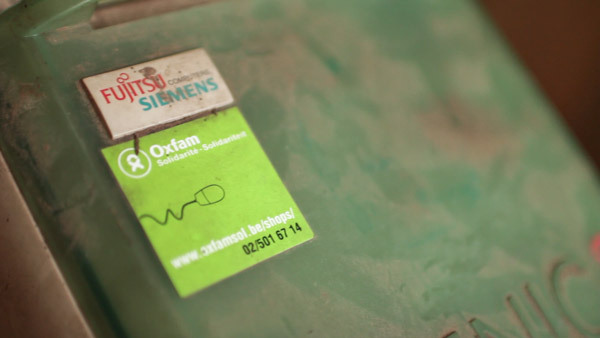 Much of the electronic waste came from developed countries illegally labelled as donations, an important legal distinction which in practice relaxes the criteria for inspections on shipped goods. Ironically, the well meaning donations from people in the west was helping to sustain a toxic environment for people burning hazardous materials in search for copper, gold and other metals to sell. How many more instances existed where the images of poverty consumed by western people was actually generated by the misguided desire to help? Research into the topic brought to surface a myriad of projects from foreign AID agencies and multinational charity NGO, which promised riches and improvement for Africans but in reality, after implementation, revealed a severe lack of understanding from these organizations to the needs of local people. On top of it, very few of this projects had sustainable elements which would allow Africans to continue their development, but instead promoted dependency on foreign expertise and funding to continue. The act of helping had become another niche market ready for exploitation by western companies. In the search for financing for making the film, after contacting film funds and contemplating a crow-funding campaign, the filmmakers realized any external funding would actually be contributing to the same processes criticized by the film. In other words, the filmmakers would be using the widespread negative images of the African continent for personal profits. It was then decided that the only coherent way we could tell this story was to fund the film with our savings and use efficient processes unconcerned with traditional filmmaking. Hence a crew of two people was assembled to create the film from beginning to end. 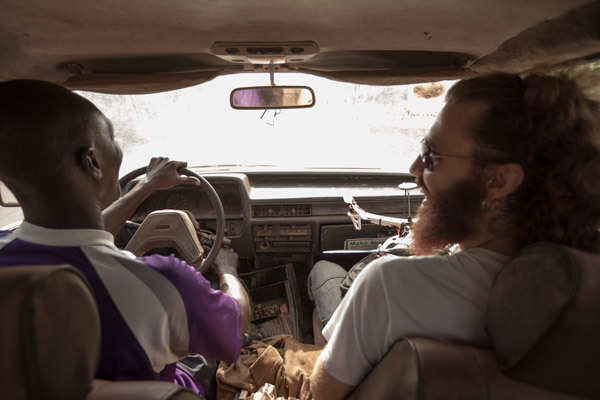 In January 2014, with the logistic support from Ghanian NGO “POCI”, Keren and Daniel spend a month travelling around the country, from huge markets and urban centers to remote small villages, exploring the everyday life of local people and how foreign AID was having an impact on them. The film sought to hear the voices of cocoa farmers, fishermen, artists, athletes, activists and policy researchers to better understand their perspectives on the issue, and to help demystify the traditional stereotypes associated with Africans in the media. Inspired by films such as “Enjoy Poverty”, “Surplus” and “Baraka”, a conscious decision was made to play with people's perceptions, using imagery that envolkes responses usually associated with victim narratives and de-constructing them at the same time. Such goal would be better achieved with contemplative cinematography, using beauty as a channel to allow people the reflection on the topic.